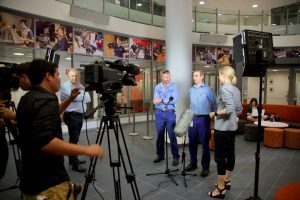 No-one else – no other Media Training or PR business in Australia can offer this. 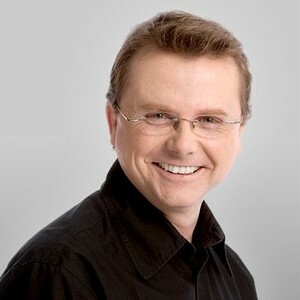 We are so excited to launch our new practical Masters Media Training workshop, with Queensland’s most respected broadcaster, former ABC breakfast radio host, Spencer Howson. Spencer kicks off our new Masters Media Training Workshop by sharing his valuable insights and professional tips developed over 24 years in the media to help you perform your best. Then we take you into a state-of-the-art digital radio studio for the full interview experience. Spencer explains what a radio interviewer is looking for, how to deliver a memorable performance and make the most of your time in the hot seat. 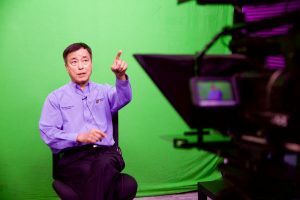 We replicate the “live cross” for our clients.. and it’s as real as you can get. 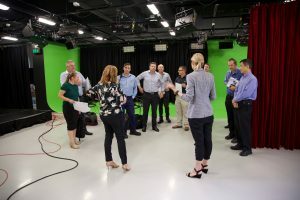 You are in your own studio to be again interviewed by Channel 7 Television Presenter and journalist, Jillian Whiting with a director and professional cameraman to guide you through what can be one of the most terrifying media experiences. Did you get your key messages across? Do you reflect your corporate and and personal brand? What happens when it all goes wrong? We’ll guide you through the experience and provide supportive feedback with highly respected national TV producer and corporate coach, Suzanne Stark. Part 3 of this Masters Media Training workshop is a Press Conference… complete with 3 cameras, lights, and a hungry media pack to ask those difficult questions. This realistic experience will help you understand what journalists want, how they operate.. and also build your confidence for your next media engagement. It’s a sharp four hour workshop – at the incredible, highly professional media centre at USQ and every one of your performances are recorded, edited and handed to you at the end of the day. The most important element of any Media Potential workshop is our coaching and at every stage we provide supportive and constructive feedback to ensure every person gains a deeper understanding of the media. We have gathered the most experienced team, in a professional environment to share our first hand media insights with our clients. We know that it’s not a one size fits all world, so each workshop is designed for the client – whether you want the focus to be proactive, reactive or even the full ‘blowtorch’ experience. Why Why Why – Why am I doing this?